Eddie was ranked 55th in the world which qualified him as the only GB applicant for the 1988 Winter Olympics in Calgary. Eddie competed in the 70m and 90m jump events but unfortunately came last in both. Although he did not win an Olympic medal, he did win a place in the hearts of spectators all around the globe. The public loved Eddie, ultimately due to his lack of success, but more importantly his pure determination and ‘have a go’ attitude. Eddie became a global celebrity with substantial commercial success. 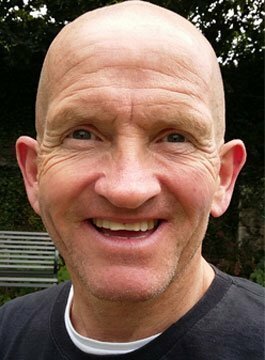 Since the 88’ Winter Games, Eddie ‘The Eagle’ Edwards has continued to appear in advertising campaigns, make personal appearances and deliver motivational and after-dinner speeches. As a regular on television and radio, more recently Eddie has been a competitor on BBC1’s Let’s Dance for Sport Relief (making it to the Final on public votes) and was the winner of BBC’s Winter Wipeout and ITV’s Splash. Eddie was also the jump coach on Channel 4’s The Jump. A major feature film based on Eddie’s inspirational life story was released worldwide – ‘Eddie The Eagle‘, featuring Hugh Jackman and Taron Egerton.